Interactive Map Location of Sonata City in Torren. Sonata City is the southwesternmost city in Torren. Trainers can challenge Harmony, the fourth Gym Leader of Torren, for the Paragon Badge. 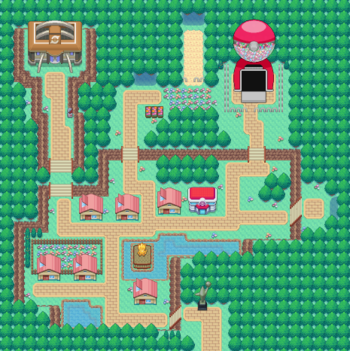 Sonata is known in particular for the Sonata Tracks, the official location for Pokémon races, and the community surrounding them. It is the dream of many to become famous by racing, and some even get sponsored. There is a Poképon machine in the northeast of the city. The eastern entrance to the city is Route 9. To the north of Sonata City lie the beautiful and serene Sonata Hills, a hospital and home for the elderly. Head west and challenge Harmony in the Sonata Gym. Navigate towards the entrance to Sonata Hills in the north. An Artist in Sonata City's second westernmost house is willing to teach the player's Smeargle various moves. A Nurse in training can teach the player's Pokémon various healing moves. A young man in the house closest to the gym can teach the player's Pokémon various Sound-based moves. Poképon is a game based on the Gachapon machine, a vending machine popular in Japan that dispenses capsule toys and prizes. In Torren, a Pokémon walks into the machine, and a prize is given to it. Prizes can range from rare items to even a Nature change. Once you enter the Poképon it will save the game, and if you have autosave on, turn autosave off without telling you. Here Trainers can battle the Gym Leader Harmony, a specialist in Fairy and Normal-type Pokémon, for the chance to obtain the Paragon Badge, as well as TM100 (Dazzling Gleam) as a reward. 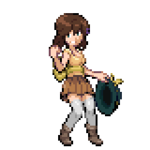 Harmony, the city's Gym Leader, takes care of Sonata Hills, where the sick and the elderly come to be treated. It lies to the north of Sonata City, and it has a western exit to Route 10. Because the hospital takes advantage of the healing powers of Pokémon, patients are usually discharged soon after they are admitted. The Sonata Tracks are a main tourist attraction of Sonata City. They are located in the south of the city. They are the site of official Pokémon races, which the player themselves can enter Pokémon to participate in. A draw of these races is that the Speed stat of the participating Pokémon has no bearing on its ability to place highly in the race. By placing highly in a race, the player can increase their Sponsorship Value. With a high enough Sponsorship Value, the player can become sponsored and be paid. The races are conducted on tracks which have both boosting tiles and hazards, which should be avoided. Wild Pokémon can be encountered by surfing or fishing in either of the two ponds in the city. A Firebreather in the house above the statue is willing to trade the player a Cyndaquil holding a Typhlosionite for a Druddigon.